All-America Selections Winners were on display during October’s opening of A Tasteful Place at the Dallas Arboretum and Botanical Gardens in Dallas, TX. Leaders of the well-established public garden have added a new 3.5 acre section—a hands-on, practical, taste-and-see adventure, designed to teach, guide, and inspire home gardeners. Naturally, the new vegetable venue included tested garden performers from All-America Selections. The gardens were buzzing on opening day, with bees and with DIY energy. “It is so exciting to see the public inspired to do this in their own gardens,” says Megan Proska, Dallas Arboretum Horticulture Manager for Trials Gardens. “People can see what’s growing here and try it themselves at home.” At A Tasteful Place, edibles are laid out potager-style; that is, with vegetable varieties planted in square-shaped beds, divided by mulched pathways for peering and picking. Flower borders surround vegetable plantings, with plenty of attractive blooms cultivated close by to attract pollinators. Graceful paved walkways draw visitors from the garden entry toward the cultivated beauty, with their passage met by butterflies, moths, and honeybees fluttering from flower to flower. Vines of butternut squash ‘Waltham’ filled out one of the first corner beds, a 1970 AAS Winner. ‘Waltham’ produces lovely, large blossoms and 3 to 6 pound squashes in steady supply, usually maturing earlier than other butternuts. With a 47 year history, this AAS Winner offers clear evidence of the AAS tagline, “Tested Nationally & Proven Locally™”, as cooks all over the country rely on this tasty variety for flavorful soups and autumn warmth in a meal. 2005 AAS Winner ‘Fairy Tale’ eggplant was planted prominently in the potager, an abundant producer of 3 to 5 inch fruits that grow in clusters. 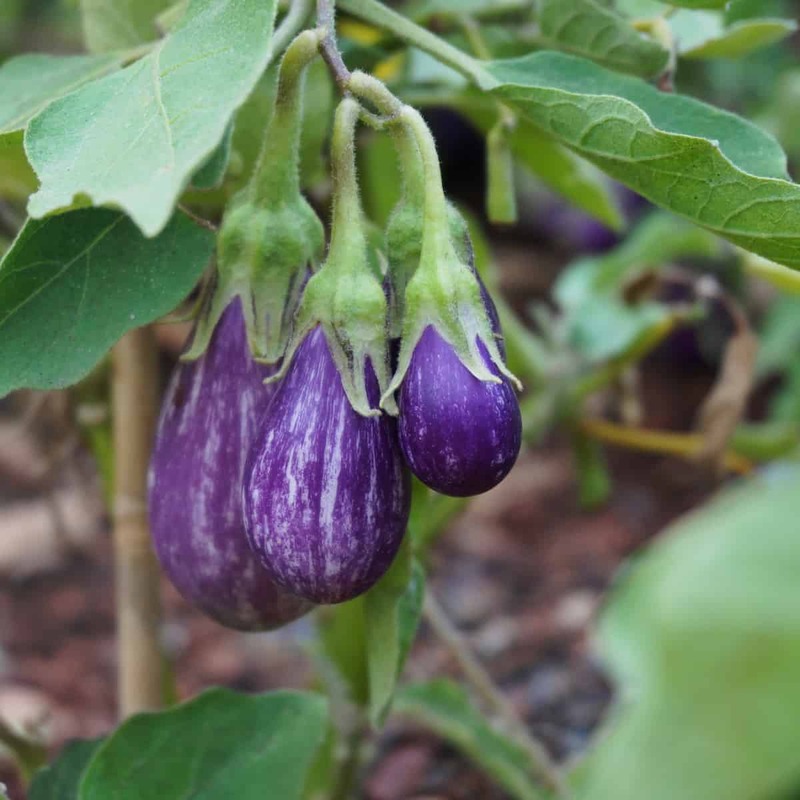 The bright, purple and white striped eggplants produce plentifully, challenging cooks to come up with a multitude of ways to enjoy their harvest. The plants lent a fanciful look to the garden, with bursts of purple peeking out from lush, green, low-growing bushes. 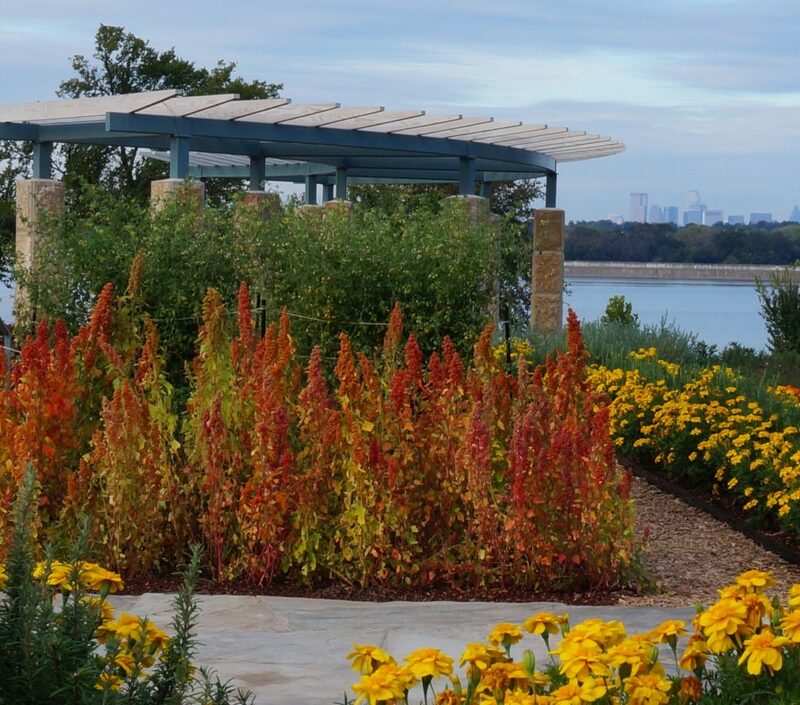 Vines of 2016 AAS Winner ‘Candyland Red’ tomatoes were staked vineyard-style to fill out a further corner garden bed, framing the view of nearby White Rock Lake and the city skyline beyond. 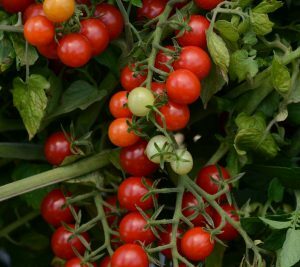 This AAS Winner yields an abundance of currant-sized fruits for fun, creative ways to sprinkle pungent tomato taste in fresh, garden-to-table meals. The tiny tomatoes bypass the need for slicing, yielding pop-in-your-month delights to punctuate salads, sandwiches, or side dishes. Despite the small size of flowers and fruits, vines grow densely, reaching over 5 feet tall, covered in delicious produce. The Dallas Arboretum recently added vegetable trials to their work with All-America Selections. The horticulture staff has enjoyed a successful relationship with AAS as part of their flower plant trialing. When additional edibles trials grounds were needed in Texas, the Dallas Arboretum was ready to expand, knowing the research would directly benefit growing knowledge for A Tasteful Place. A Tasteful Place garden beds will be replenished monthly and seasonally, as the southern climate allows for year-round gardening. Look for more AAS Winners at A Tasteful Place, from cool-season greens to returning warm-weather crops next summer.